MicroNeedling is a method of introducing a controlled micro-injury to the skin triggering a release of the growth factors, new collagen & elastin. This process causes much less damage to the epidermis than dermal rolling or lasers and other ablative treatments as it helps to protect the new skin cell growth, providing for quicker healing and a much higher success rate. Who and What Can Be Treated With MicroNeedling, and on What Areas of the Body? 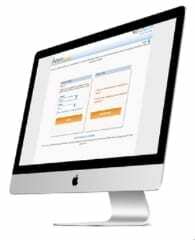 Typically a series of 3-6 treatments is recommended, depending upon your area of correction or concern. Your skincare professional will ultimately determine a treatment schedule based on your individual goals and desires. Treatments are usually spaced in 4-week intervals. People with deep wrinkles, advanced sun damage, stretch marks, or any type of scarring, usually require 6 or more treatments to achieve the desired results. What is the Method of Application for MicroNeedling? 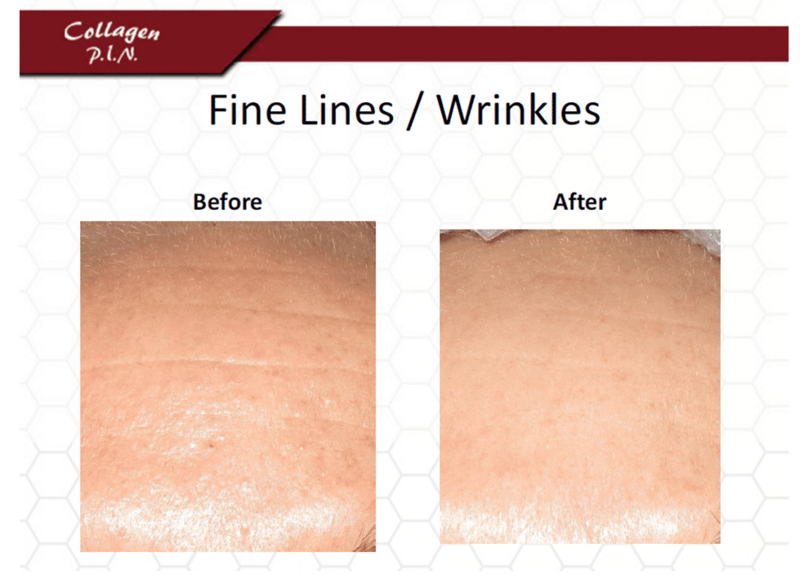 In our office, we use a MicroNeedling device known as Collagen P.I.N., the most advanced medical grade automated MicroNeedling device on the market. The Collagen P.I.N. device contains a sterile disposable needle cartridge holding either 12 or 36 micro-needles that is gently glided across the skin while mechanically inducing a micro injury to the desired depth chosen for your skin by your medical provider. The Collagen P.I.N. creates micro channels which allow topical serums, platelet rich plasma (PRP) and creams to be absorbed more effectively and reach the true targeted areas, producing a greater result. Plate Rich Plasma, also known as PRP, is a treatment which is specific to each patient. Blood is simply drawn from the patient and then processed to separate platelets from other parts of the blood. 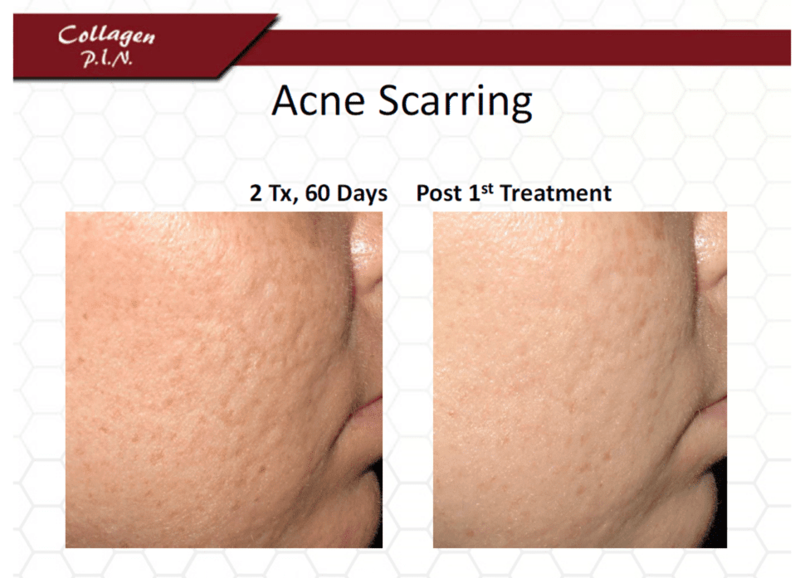 This allows us to topically apply the platelet rich plasma directly to treatment area through MicroNeedling. This allows growth factors to penetrate in to the micro-channels created by the MicroNeedling to help in the generation and cellular functions of the skin. The skin’s repair process results in a thicker dermis with the appearance of softer wrinkles. Click a thumbnail below to view larger photos.